Bentonite clay has been used for many years for waterproofing buildings. It was initially used on foundations of palaces and castles in ancient structures. The construction industry has utilized the bentonite clay to guarantee a durable waterproof membrane. Bentonite waterproofing method saves money and time for both the homeowner and the contractors. It does not require special skills to install on surfaces. Bentonite clay has the ability to absorb water to prevent further infiltration of water into the building. The main component in bentonite is sodium bentonite which has a high hydration level. Sodium bentonite cures quickly and does not involve evacuation processes. It has the ability to expand and to cover any existing cracks on the surface. Bentonite can swell more than ten times making it suitable to cover concrete surfaces from water infiltration. Bentonite has four main types that are performed in the modern construction industry that can be performed in a building. Surface waterproofing membrane. This membrane is mixed with asphalt and cement materials. Bentonite membrane which is mainly rolled on materials to make a coat. 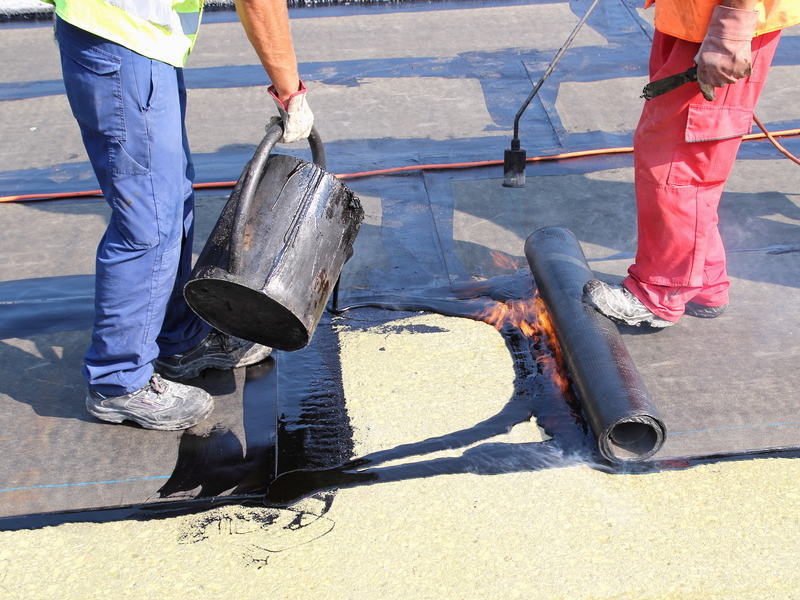 A polymeric membrane is a bentonite waterproofing that has polymer. Bentonite panels or mats that are installed on walls, roofs, and foundations. It is impervious: Bentonite does not allow water to pass through. The layer of bentonite absorbs water and keeps it from reaching the concrete surface. It is strong: Bentonite membrane can withstand extreme climatic conditions. The membrane can withstand high hydrostatic pressure from the underground water. It has a quick curing time: The self-healing ability of the bentonite membrane makes it suitable for waterproofing exterior surfaces in buildings. It is durable: The membrane has constant properties over a long period of time. It is easy to install: It does not require special skills during installation. The other waterproofing methods require additional skills. Resistant to chemicals: Bentonite waterproofing is resistant to chemicals, therefore, it will not be affected by detergent chemicals among other household chemicals. It is environmental friendly: Bentonite clay does not have side effects to the environment. It can decay and blend with the soils naturally. Bentonite waterproofing is mainly used for exterior surfaces because it acts as a protective shield to a wall. Bentonite absorbs water and keeps it away from reaching the foundation walls. Foundation walls are vulnerable to moisture content because it is in touch with the underground soil which is naturally wet. Bentonite clay will expand and fill holes and cracks in the wall. These holes and cracks are vulnerable points of water infiltration which can affect the foundation of the building. With the bentonite clay, water and moisture do not reach the wall because it absorbs water. Bentonite waterproofing is applied in layers, and the thickness is determined by the moisture content in the soil. However, this method requires excavation of the soil around the foundation wall. The excavation part makes the process to be longer than liquid membrane waterproofing. If not done well, the bentonite membrane leaves spaces and gaps that allow water to seep through the foundation. It needs skilled contractors to have a perfect coverage that will protect the foundation from moisture accumulation. It requires a lot of work. Since bentonite waterproofing is suitable for exterior surfaces, excavation needs to be done prior to installation. During the excavation process, the foundation needs to be taken care off because it forms the stability of a building. Our technicians are highly skilled to ensure that the digging activities do not affect the foundation. Bentonite membrane does not protect interior leakages. The building still needs an extra layer of interior waterproofing of other materials. Interior leakage can affect the bentonite coating by making it peel off. Eventually, the underground water begins to seep in through the foundation to the basement. Clay is vulnerable to decay. It can last for many years as compared to other waterproofing materials that are using the latest technology. It provides quick fixing to protect the foundation. There is a need for further waterproofing methods. Waterproofing Singapore has the best team to offer you the best waterproofing solution to your building. Contact us today.